An excellent program in a war-torn region of Sierra Leone. This program provides uniforms, bags, footwear, and textbooks for school children. The Inaugural year has been funded in memory of Mr. Dabid Ackley. This funding has been generously provided by The Ackley-Grady Family, and Peggy and Sam Iannetta. In Memory of Mr. David Ackley. Mr. Ackley was a biology teacher, principal, and a superintendent. He devoted his life to the education of young people. 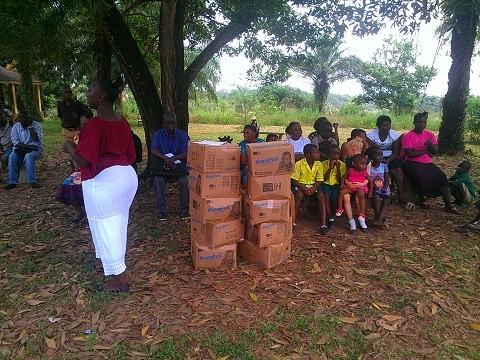 An eleven year civil war and eighteen months of Ebola has left families, especially children, suffering in Sierra Leone. The project will provide funding for 40 children who need urgent support to attend the Darcas Academy, an excellent school. The project provides the children with school uniforms, bags, footwear, and textbooks.